Testing different methods of rowing after doing a little reading on the subject. 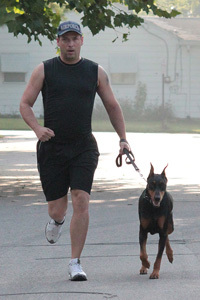 It appears that I may have finally found a sport that my body has a natural advantage for. An old trucker I used to go to church with would always say, “There’s no rest for the wicked.” It just always struck me as peculiar, and now whenever I see a “Rest Day”, I can’t help but think of that quote and that old trucker, especially when I don’t get the rest day because I’m trying to make up for missed WOD’s. Today is one of those days. It was a Black Friday, not because of the shopping day, but because this WOD nearly made me black out. The time became inconsequential and for the first time besides injury I was afraid I wouldn’t finish. 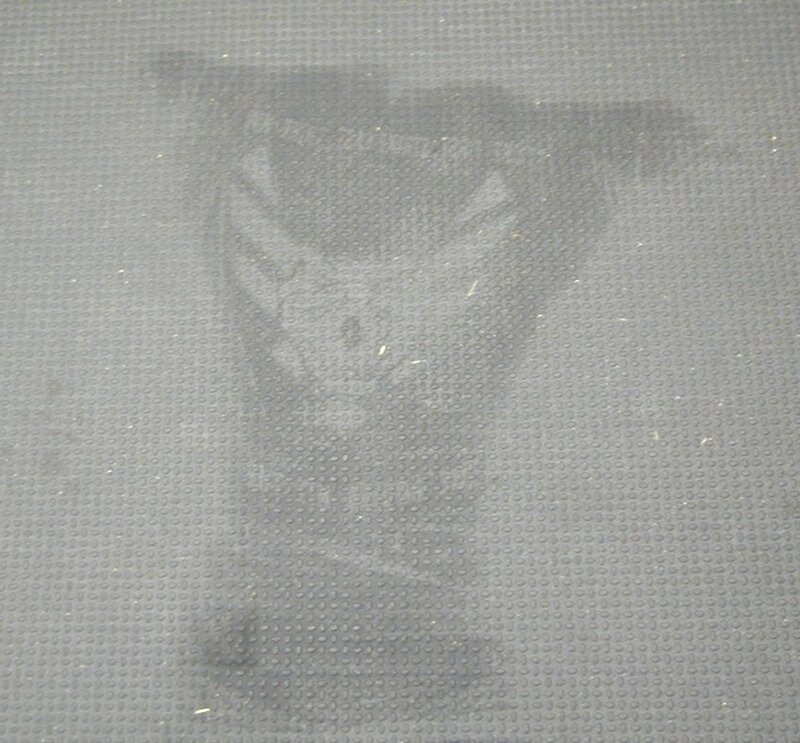 I got my first “Sweat Angel” and a pretty cool one if I don’t say so myself. The t-shirt I had on was one of my old USAF squadron shirts with the viper and Air Force wings. Check it out. Not only was I soaked, but it was about 38° in the garage and the floor was probably much colder. When I laid down, the steam was pouring off my face so thick, I could hardly see the ceiling. Wish I could have got a picture of that. First time doing this WOD so nothing to compare it too. Note: No band assist on pull-ups. Had to sub pull-ups with blue band for assistance. Used a 55# dumbbell.